One of the largest problems small businesses face is running their own IT services. Not only is it expensive, but it is also heavily time-consuming and takes time away from the business. This time would have been better used to focus on the business’s core functions. The best bet for a small to medium sized enterprise is to get a managed IT services provider. Luckily for most businesses there is a whole host of IT companies out there who’ve built an extensive line of software designed just for their needs. The beauty of it is that it’s all managed from the cloud. So you don’t even have to store stuff on your own computers! Cloud services are the future of IT, particularly in business. 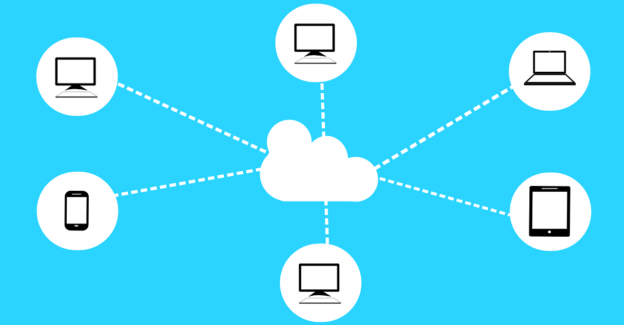 So why don’t you jump on the bandwagon and start using these 7 Cloud services? They’ll give your business that crucial edge. Once you get used to them, you’ll never be able to do without them! Talk about conferencing on a budget! This wonderful service will allow you to hold your conferences without having to break the bank. It comes with a free 30-day trial and has awesome features like whiteboarding tools and shared desktops. If you’re thinking of venturing into e-commerce then you simply can’t do without Shopify. Possibly the best platform for your web based store-front, it comes with a 14-day trial so you can try out the goodies before you subscribe to their cheap $29 monthly plan! MailChimp is the Holy Grail of email marketers the service you get is fantastic at only $10. Plus loads and loads of third-party integration! Are you trying to run a massive social media campaign? Stay on top of it all with HootSuite which allows you to manage your social media campaign at your budget. They probably have the most comprehensive package you’ll find in the market. Doing your own accounts can be extremely demanding and is possibly one of the most boring tasks in business. So why do it yourself? Why not just outsource it to Intuit QuickBooks Online Plus? This is the largest accounting service on the internet and is also affordable, thanks to the $39.95 price tag. From the UI to the customizability, it’s easy to work with and can be set up in a short time. Are you trying to run a survey to see how your business is doing with your customers? SurveyGizmo is your perfect partner. You can control the kinds of questions asked as well as the mode of scoring. It also comes with a ton of other features to make the survey building process seamless. And all for only $22.50 a month! HubSpot is an awesome tool for marketing! It enables you to run your email campaigns and CRM easily in an automated environment. At $200 it isn’t the cheapest service around, but it’s definitely worth it! Having a Managed IT services provider frees your business’s time up so that you can focus on the core tasks. These 7 cloud services are only some of the many that you can use to your advantage. They’re definitely among the best, however, and will phenomenally increase your business’s efficiency.